Earlier this month, I had the pleasure to spend some time with Ken Baker, host of the Go Build Your Business Podcast. Ken interviews entrepreneurs to learn how they’re building their businesses. I was lucky enough to be the featured entrepreneur on Episode 42 of Ken’s podcast. I shared my story about how I went from a successful corporate marketer to a full-time blogger. I also share my 3 secret traffic-driving strategies which I call the Traffic Trifecta. 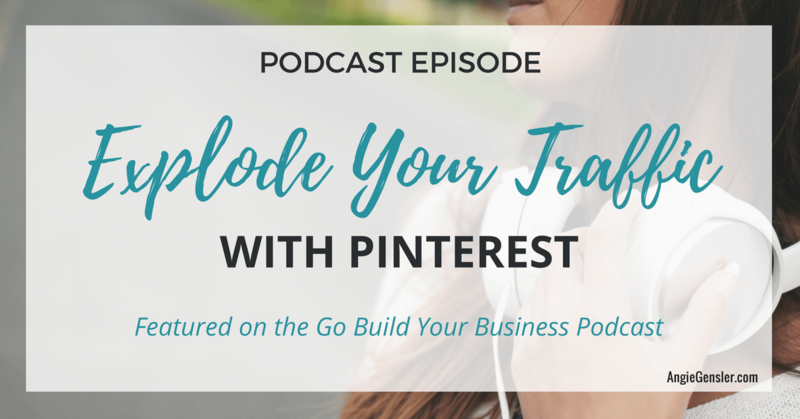 At the end of the episode, I mention a free Masterclass all about my Pinterest Traffic Trifecta. Click here to learn more about the Masterclass and to secure your seat. You can listen to the entire podcast right here. Just click the “play” button below. You can also download the episode and save it for later! Click here for the show notes for this podcast episode.